The 49th Annual Gala Festival is approaching with a host of entertainment for young and old. The festival kicked off on Tuesday, July 31 and continues until Monday, August 6. This Wednesday evening, August 1 at 7pm an under age football blitz will take place in the GAA Park. Thursday the location is the Rainbow at 6.30pm for children’s fancy dress disco. Remember you might not recognize your next-door neighbour! 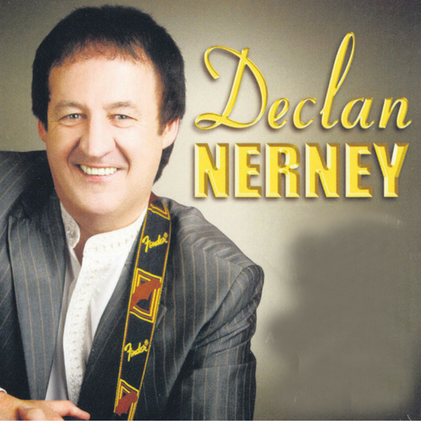 Friday night, August 3 the one and only Declan Nearney makes a welcome return to the Rainbow Ballroom of Romance. Declan’s first appearance in the Rainbow would have been on stage with the legendary Brian Coll and later on stage with the late Gene Stewart. Dancing from 11pm to 1am. Mass and Blessing of the Graves at 7 pm, then on to the Rainbow at 9pm to comedy and hypnotist Adrian Knight followed by Disco with DJ Seamie Mac. Within minutes of welcoming volunteers on stage, world renowned hypnotist Adrian Knight will stun and amaze his audiences by the speed in which he is able to hypnotise his willing volunteers! Sunday, August 5 commences with Mass and blessing of the graves at St. Mary’s at 11 am. At 2.30pm parishioners and holidaymakers will make their way to Kilmakerrill Graveyard for the Blessing of the Graves and the unveiling and blessing of a Memorial Stone. All roads lead to Glenfarne' Sports and Cultural Day at the GAA Park at 4 pm. There is a full programme of athletics and novelty events. Bring your pet along to Pets Corner. Also there will be prizes for the best traditional Scarecrow and miniature scarecrow hunt. Dress up your “Wellie” and walk away with first prize! The Festival Committee have come up with two new events for Sports Day. Total Wipe Out and Last Man Standing - will you emerge the champion? Inflatable bouncing castle and inflatable slide will entertain the kids all day. The Sports Day finishes off with a Country Hour where you can take to the wooden dance floor and dance, jive, waltz and line dance. At 10pm Race Night in Ketty’s Bar, in aid of Glenfarne/Kilty GAA Club. Bank Holiday Monday is the last day out, and always the busiest day with four events taking place. Firstly at 10.30 am Fishing Competition starts from McHugh Bar. Get your running shoes on for the Gerard Francis McMorrow 6K Greenway Memorial Walk, it starts at 11 am and finishes at St. Michael’s School. The duck race starts from Glenfarne Village at 4pm and with the recent drought the ducks might need some encouragement to make their way down stream! Last but not least the Annual Car Treasure Hunt starts at the Rainbow at 5pm. Results in Kettys Bar at 11 pm. The Glenfarne Gala Festival Committee hope that you will enjoy the programme they have arranged and if you are on holidays that your stay with them will be a happy one and that you will be able to bring back with you pleasant memories of your Gala time in Glenfarne. The committee want to thank their sponsors and people who donated prizes. Don’t forget next year is the “Big One” when Glenfarne will be celebrating 50 years of the Gala Festival with a host of entertainment booked for the Ballroom of Romance including Derek Ryan, Michael English and the Fureys.